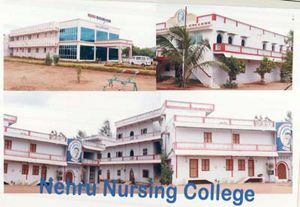 Nehru Nursing college was established in the year 2000 under the Marian Educational Trust with an aim to provide quality Nursing Education and prepare Nurses with the highest level of education and practice. The College is affliated to the Tamil Nadu Dr.MGR Medical University, Chennai and is permanently recognized by the Indian Nursing council (INC) New Delhi, and the Tamil Nadu Nurses and Midwives Council, Chennai. 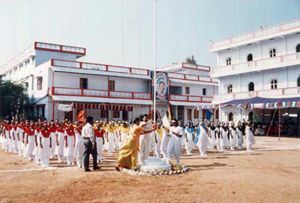 The college site covers nearly 10 acres of land which is just 3kms from vallioor bus stand on the Tiruchendur road and accommodated with the Nehru Hospital. 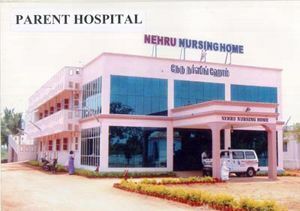 Nehru Hospital is the parent hospital, which is a 100 bedded hospital within the campus. The hospital is well equipped with all facilities like X-Ray, Ultra sonography, labour room ,operation Theater. We have residential medical officiers who provide 24 hours medical care. we have consultants from each specialty visiting our hospital regularly. 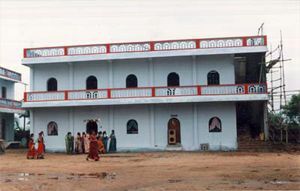 The hospital provides outreach services to the nearby villages every month at the doorsteps. Every month on the last Wednesday a free medical camp is conducted in the hospital premises,which cater to nearly 200 patients.